" Switched Onto Safety completed all work in a timely manner to a high satisfaction "
" Fantastic to deal with. Prompt turnaround of review report "
" Guy and Megan provided a great service with a prompt turnaround of reporting. Have used them before and will use them again "
" Chemwatch provide and excellent database, the system is user-friendly and any difficulties are addressed quickly and promptly by either telephone or email "
" The SOS - Switched Onto Safety instructor Stuart was very patient with me. He took the time to go back to what he had shown me and also gave me different options to achieve the same outcome"
" I, owner of Moonspark Holdings Pty Ltd (Cartage Contractors) would recommend anyone for SOS to do any of the tasks that they do. Very good result "
" The service was professional as always and undertaken timely to meet project deadlines and feedback to contractors. All good from me "
" The service provided by SOS is both thorough and professional and exceeded my expectations in all respects "
" SOS are efficient, highly skilled and extremely helpful to assist our two offices in staying compliant with safety expectations and standards "
" Stuart was very thorough and we are happy with his skill set "
" I was really happy with the response to the short time frame we requested and the flexibility in accommodating an outside consultant working on behalf of an existing customer. 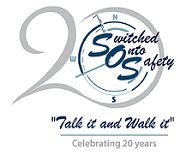 Thank you "
" SOS - Switched Onto Safety provided a thorough and professional service to assist us in ensuring compliance are met and our chemical manifest is accurate. They have been most helpful through the entire process I'm happy to give my complete endorsement and recommend their services to others "
" Chemwatch is a very powerful tool to use as the database for chemical registration and chemical risk assessments for your organisation. It is highly recommendable to use "
" This training was incredibly useful and informative. Our staff is now able to utilise Chemwatch to its full potential with confidence. This will assist with safety overall throughout our local government "
" The service provided to review of OSH Management Plan for Contract 0186/14 was completed on the agreed date and time frame "
" SOS provided practical and honest feedback, using extensive knowledge of industry standards and best practice initiatives. All comments were delivered with respect and integrity "